Getting married abroad is becoming increasingly popular and Turkey being a unique country - romantic and exotic with its rich culture and ealth of breathtaking natural and historic beauty is the perfect destination for your special day. Unlike other foreign wedding destinations Turkey is under 4 hours flying time from the UK and it is also far more affordable than most other countries. Indeed as weddings here are great value we find that many couples are able to bring family and friends to celebrate with them. For those who are unable to join you you may like to arrange a blessing service or reception upon your return but at the very least you will be presented with a video made of the day so you can share your special moments with those who were unable to be with you. It is also made even easier for you to have family and friends join you as there is a wide choice of airlines with direct flights from both major and regional airports.Turkey is reknowned for its first-class service and warm hospitality. These together ensure all members of the wedding party will have a comfortable and memorable stay. Getting married in Turkey is a very simple process and the only legal documents you are required to show at the British Embassy are your Birth Certificate an up-to-date passport with a minimum of 6 months left to run and a Certificate of Non-Impediment. You will be required to visit the Embassy with these documents where they wil be translated into Turkish allowing the formal wedding papers to be drawn up. And don't worry we organise the trip for you and a member of our staff accompanies you all the way. Let us Tiny Akropol Tourism take the stress out of organising your wedding arrangements by doing it all for you. With many years of wedding planning experience we appreciate your marriage is very personal and unique to you and we believe the ceremony should reflect this. We organise everything from the legal requirements to the cake. All you have to do is be there on the day! Add to these its beautiful gardens and the warm Turkish sunshine virtually guaranteed to shine down on you and you have the perfect setting for your wedding. No two ceremonies are the same as we tailor-make your wedding to reflect your wishes and your budget. It can be as traditional or as unusual as you choose and we can advise on any of the traditional Turkish wedding elements that you may wish to incorporate.We will now take you through an example of the kind of wedding day you can expect but do bear in mind, we very much work with you to provide you with the day you want. While the bride bridesmaids & mother of the bride are at the hairdressers, the groom, best man and groom's father are being pampered by a local barber - the full traditional Turkish shave and shoulder massage! Once all the wedding party are ready usually late afternoon the guests & Groom gather in the gardens of to await the arrival of the Bride. The service is presided over by the local marriage registrar who conducts a civil ceremony under the palm trees. An interpreter is present and you will be required to sign a number of documents including your marriage book which in Turkey replaces the marriage certificate. Immediately following the marriage ceremony you can opt for a garden finger buffet and refresh the guests with a choice of champagne, bucks fizz or pimms, while a carefully chosen local band of musicians is playing gently in the background. The Bride & Groom together with a small number of family & friends will then be whisked off to one of the most beautiful beaches in the Mediterranean - Ölüdeniz. The incredible sunsets make for stunningly romantic photos. You will visit the Blue Lagoon a private beach and finally which boasts the most fantastic views of the whole length of Ölüdeniz beach. Here also you will have a chance to refresh with a long cool cocktail. Back to to join your guests for the Wedding Dinner. You may choose either buffet-style or silver service. How much wine & champagne you chose to provide is entirely up to you as is the size of your wedding cake - from one to seven tiers! Once the meal is finished you may like to include a traditional Turkish Belly dancer to entertain your guests before completing your special day with dancing the night away. 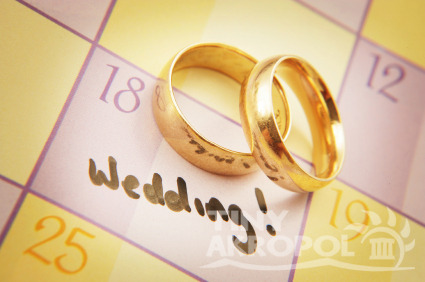 As Tiny Akropol we take pride in making your wedding day just exactly how you want it perfect..